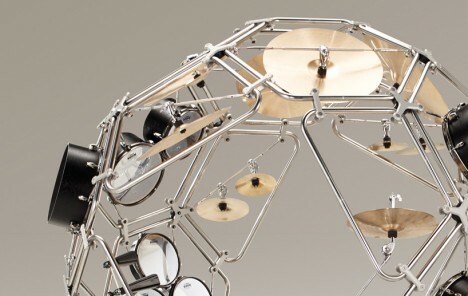 How would someone who designs motorcycles for a living approach creating a kit of drums, and vice versa? Yamaha’s Project AH A MAY explores that question, swapping the roles of designers in very different fields to produce the kinds of creative epiphanies that can only occur when taking a truly fresh look at a subject. 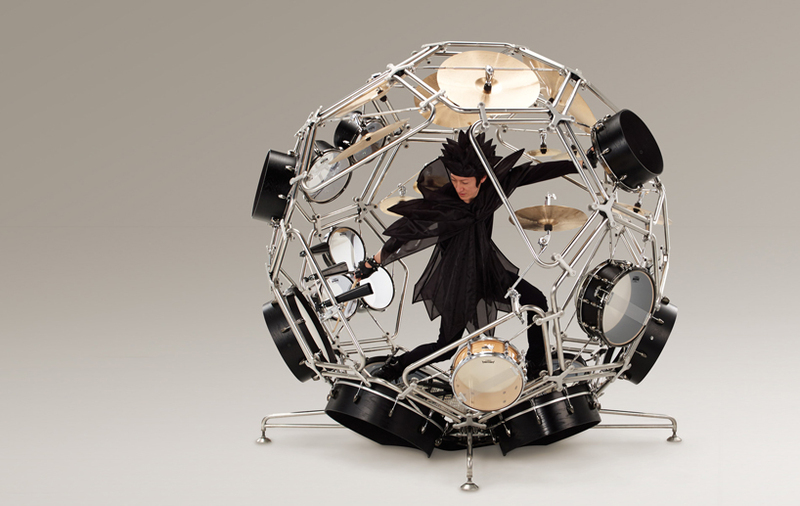 The RAIJIN God of the Thunder Drums, for example, seat the performer inside a cage, surrounding them with drum surfaces in a nearly-full sphere. This puts the musician in the driver’s seat metaphorically, and encourages them to have an even more physical interaction with their instrument. 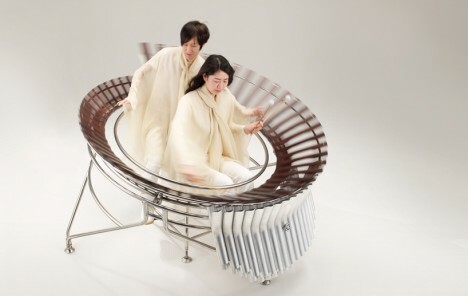 The same goes for FUJIN God of the Wind, a marimba that has two people playing at once as if they’re sitting on a two-seater motorcycle. Meanwhile, the ROOT motorcycle design is incredibly sleek, with brass parts contrasting against a whole lot of matte black. The flowing seat form runs from the front all the way to the fuel tank, with instrument panels and meters hidden underneath so the driver is fully focused on the experience of riding and watching the scenery. 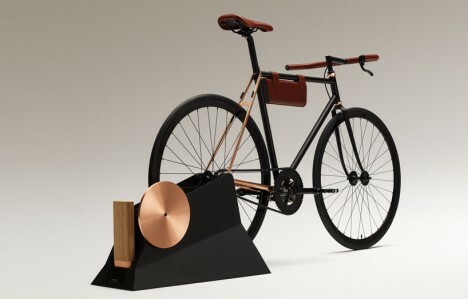 The Zero Plus/Minus Zero electric bicycle fits into a very musical-looking charging stand; to juice it up, you simply pedal. 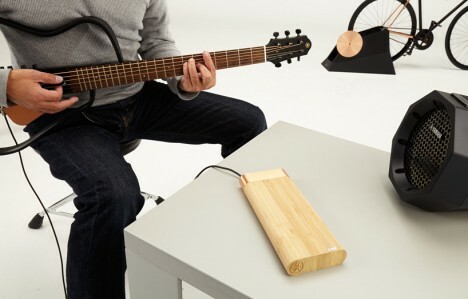 The energized battery can then be used to power all sorts of electronic gadgets around the house – including musical instruments.